#RunStreakPHL, where folks are running at least a mile every day of February, is going strong, and one Philly runner is keeping track of their runs in the best way possible: With what I’ll call run drawings, made by documenting their runs on their fitness tracker. 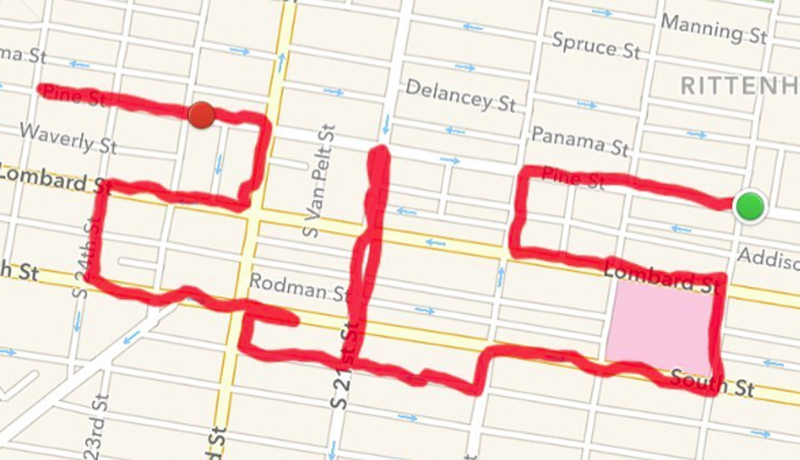 So far, the person behind @phillystory has spelled out Jawn, Run215, Run Philly, made a truly impressive stick figure running image, and more — all by routing their runs to create these masterpieces. Granted, a few of the words look like they were written by a drunk baby — but still! Check out a few of our favorites below, then hop on over to their Instagram to see more. We’re hoping they’ll be keeping up their artistic ways through the end of #RunStreakPHL.